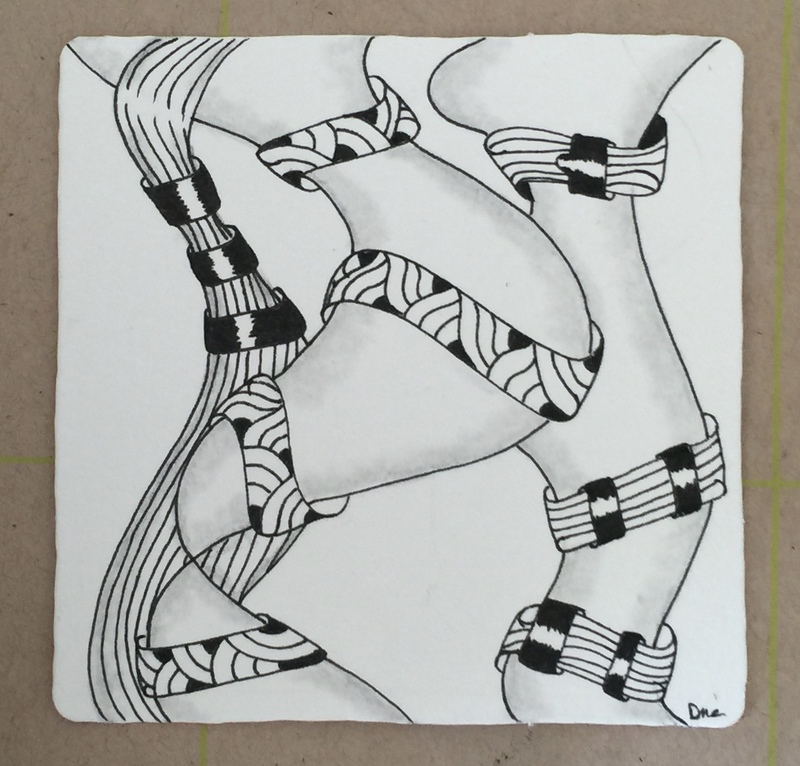 I must admit that I practice Zentangle purely to benefit my self. I have no pressure to make lesson plans or to do anything that would take my Zen away. I do take part in the Diva's Challenges and weekly Focus's but, this is to get more ideas for new ways for my practice to take me. I feel very fortunate to be able to draw when and what I want when the feeling moves me. 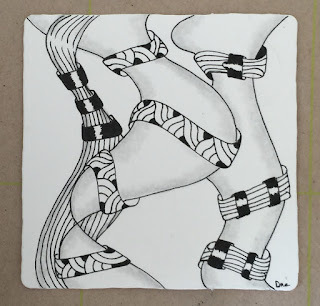 This tile is from Lynn Meads Zentwining (http://atanglersmind.com/zentwining/ ). I had been introduced to it a while ago but recently just "got it. Wow! Love your tile and thanks for sharing. I will try this out as it looks really fun!